Make This Delicious Southern Classic The Easy Way! The Complex Creole Flavor Is Like Nothing Else! Here’s a great, hearty, spicy dish that’s always a family favorite. It’s packed with vegetables, rice, and plenty of meat. Don’t forget that great, complex creole flavor from the seasoning that really is the heart of this dish. 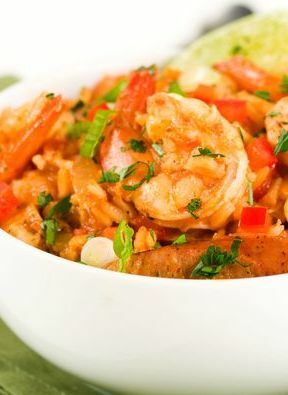 In a slow cooker, mix together all ingredients except for the rice and shrimp. Cover and cook on low for 7 to 8 hours, or 3 to 4 hours on high. Halfway through cooking, add the rice. 40 minutes before serving, stir in the shrimp. Continue to cook for the remaining 40 minutes or until the chicken is cooked through and the shrimp and has turned pink, then before serving remove bay leaves. Season with salt and pepper to taste. Serve hot with slices of lime, and add Tabasco sauce if desired.